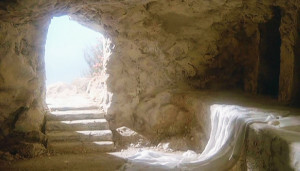 Maundy Thursday, Good Friday — Resurrection! Come, focus on the death that brings you life! Maundy Thursday (April 18, 2019) Holy Communion is at 7:00pm at Immanuel CHURCH, 906 E Grant St. Join us, please. The Service concludes with the stripping of the altar and our silent recessional. On Good Friday (April 19, 2019) we hold a Prayer & Scripture Service at Noon at our Student Center, 303 N Clay St. And on Good Friday evening our Tenebrae (Service of Darkness) is at 7:00pm at our Church. Easter Services are at 8:30am (Church) & 11:00am (Student Center) on April 21, 2019. Join us! We grasp the real victory of the Resurrection when we have walked through the Thursday and Friday Services of Holy Week. Come, join us. All are welcome … for all of us need the death and resurrection of Jesus Christ.